By Jacob Abbott. Part two of an eight part series on the history of America from its earliest times through to the age of George Washington, told by master storyteller Jacob Abbott. This volume starts with the epic voyages of the Vikings to the east coast of North America some 500 years before Christopher Columbus. The author reveals many little-known details of this adventure, and the many traces these intrepid explorers left behind. 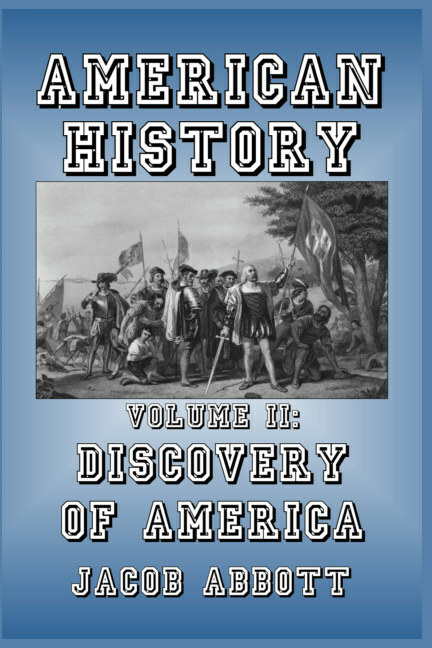 The book then goes on to provide a full account of each of the most famous European explorers who opened up the New World: Christopher Columbus, Sebastian Cabot, Americus Vespucius, John Ponce de Leon, Narvaez, Fernando De Soto, James Cartier, and Henry Hudson. Drawing upon original journals and accounts of eyewitnesses and sometimes sole survivors, this volume weaves a gripping story which includes accounts of the first meeting of the different races, the first use of tobacco, and much more. Read in detail of the astonishing adventures, the sometimes friendly and oftentimes bloody encounters with the Indians, and the ingenuity and daring of these early pioneers who laid the foundations for further European immigration which changed North America from untamed wilderness into what would become one of the mightiest nations in history. Abbott deals objectively with the explorers’ treatment of the Indians, and also the behavior of the Indians toward the Europeans, revealing without prejudice the inequities perpetrated by both sides. 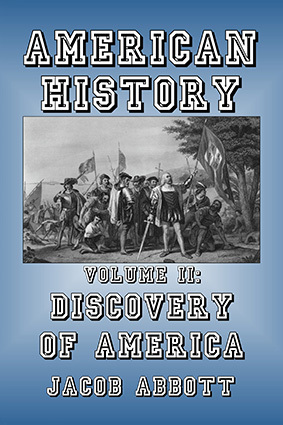 Running throughout this volume is the theme of the stunning European technological advantage over the Indians, and how this enabled a relatively tiny number of adventurers to overcome seemingly impossible odds to map out the territory of North America.